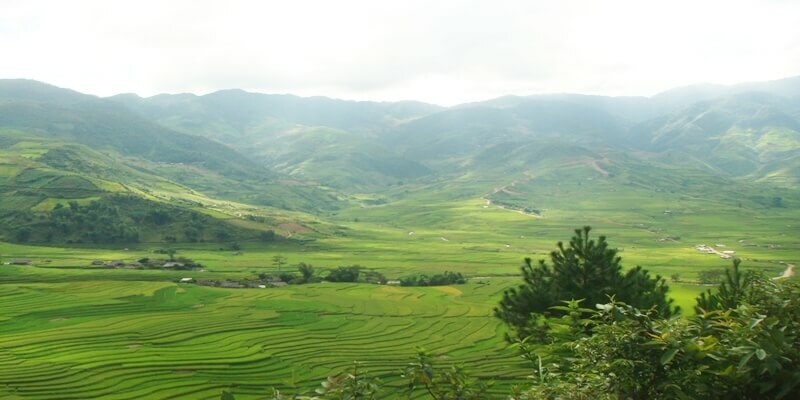 Geographically, Ba Be National Park is a reserve in Bac Kan Province, northeast Vietnam, whose role is to protect a freshwater lake (Ba Be Lake) along with surrounding limestone and lowland evergreen forests. 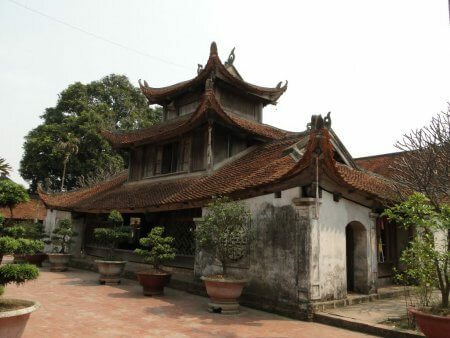 It is located about 240 kilometers northwest of the capital city – Hanoi. Ba Be means “Three Lakes”, however, all of them converge into a single continuous body of water. The lake is 8 kilometers long in total, about 400 meters wide, and has the deepest point of 35 meters. It is covered with many limestone mountain chains which have numerous caves and underground streams. If you keen on the ecotourism activities, Ba Be National Park is the ideal place to visit because it is featured by the diversified and specious fauna and flora. The vegetation in Ba Be National Park mainly consists of limestone and evergreen forest. There are approximately about more 417 species of plant. 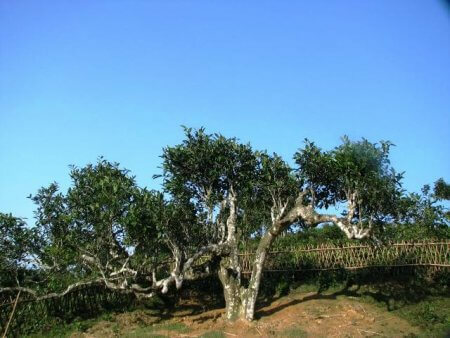 Climbing bamboo is a regional endemic plant common on the hill slopes near the lake shore. Furthermore, Ba Be National Park also attracts those tourists that are interested in animal life with plentiful animal system. There are 600 species, in which 66 are specious; some were recorded in Viet Nam Red Book. 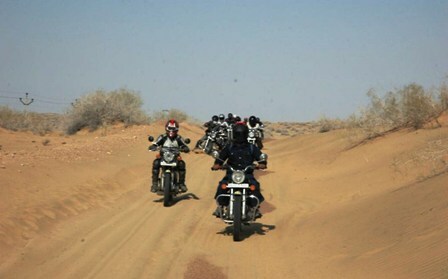 There are some interesting places that you should not leave out when coming to Ba Be National Park. 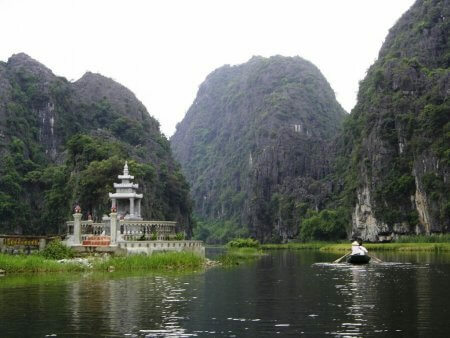 Firstly, you can enjoy a boat trip on a part of Nang River inside Puong Cave – a large cave with 30m high, 300m long. Looking into the cave, you will see that it is inhabited by a population of thousand of bats belonging to 18 species. 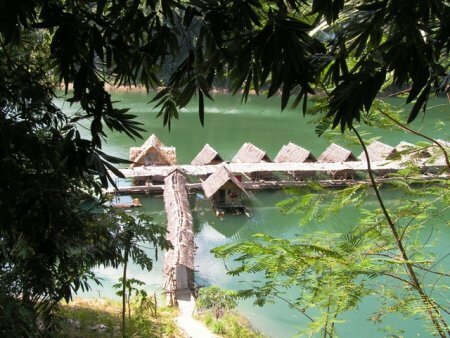 After exploring the cave, you will note that Nang River flows at the foot of the limestone mountain, goes through Puong Cave to reach Ba Be Lake and consists of a series of spectacular cascades between perpendicular walls of rock. Ba Be National Park was established to conserve important ecosystems, rare plant, animal species, and the special landscapes as well as manage the sustainable use of natural resources. It also assists local communities to improve their current living conditions and mitigating pressures on forests and biodiversity. 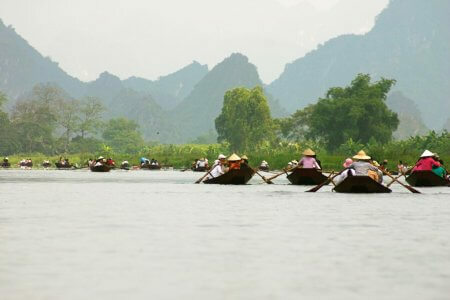 Boat tours around Ba Be Lake and Nang River stopping off at various beauty spots. Trekking through the valleys, forests and visits to caves. The population in Ba Be National Park is about 3,000 people from five different ethnic groups. 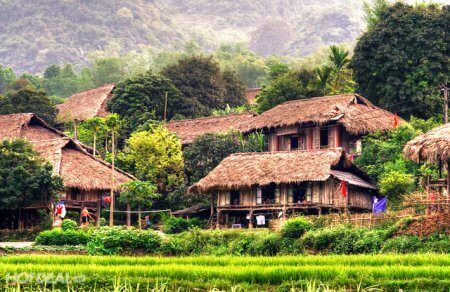 For over 2,000 years, Ba Be has been inhabited by Tay people, who make up the majority (58%), Nung and Dao people may have arrived about 100 years ago and Kinh and Mong are relatively recent arrivals. 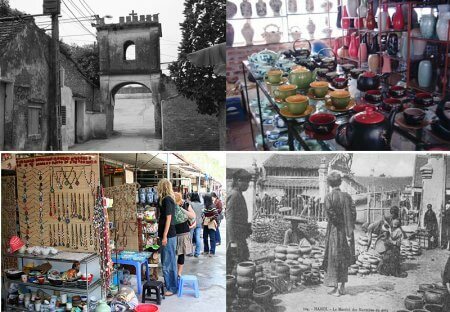 This characteristic creates the good condition for many cultural activities include visiting local villages, markets and musical performances. Without doubt, Ba Be National Park displays an impressive amount of evidence of ecological condition. It is a site of very great importance for increasing our understanding of the geologic, geomorphic of the region.